This is a process which involves the excavation and evacuation of soils using high pressure water and a vacuum. The solid soil is converted into a liquid mud by the high pressure water using a jetting rod, which is then sucked up by a high volume suction vacuum into a debris tank. 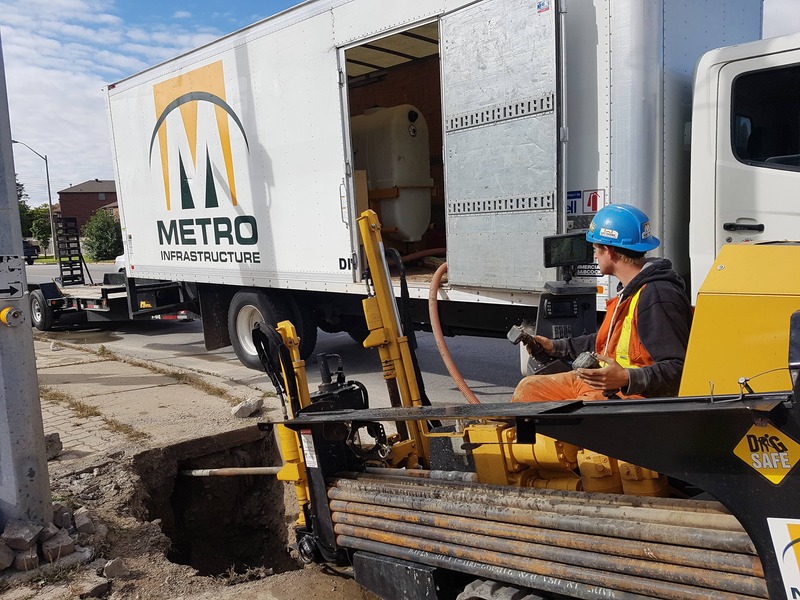 Unlike the traditional excavation method, hydrovac is a faster, safer, more reliable and nondestructive method of excavating underground soils. Safety is a top priority when excavating soil. A conventional excavation can rupture surrounding pipelines, telecommunication cables or power lines. This could cause harm to labourers or damage to surrounding buildings. With pressurized water and a vacuum, the soil will be moved in a safe and nondestructive fashion. Also, the labourers will be less subjected to any possibility of getting involved in a machinery accident. Hydrovac excavation minimizes costs associated with traditional excavation. It involves pressurized water and an air vacuum, which minimizes the need for additional equipment. It also ensures that surrounding pipelines and other utilities are less likely to get damaged, and it excavates the soil precisely without accruing any liability, which saves costs in the long run. 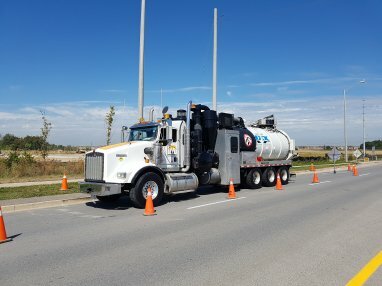 Hydrovac excavation is much more reliable in comparison to traditional excavation, which is more likely to damage underground utilities and is also less cost-effective. Using pressurized water and a vacuum to remove the soil surface, the underground will be exposed quicker and in a safer manner. One of the main applications of hydrovac excavation is cold weather excavation. This is used during periods of cold weather in order to prevent the exposure of workers to unfavourable conditions. Furthermore, hydrovac excavation can be used for the removal of debris. It is used to clean drainage systems and areas filled with debris without affecting other utilities. It also used for excavation in tight spaces, such as pole installation, potholing and sewer excavation. 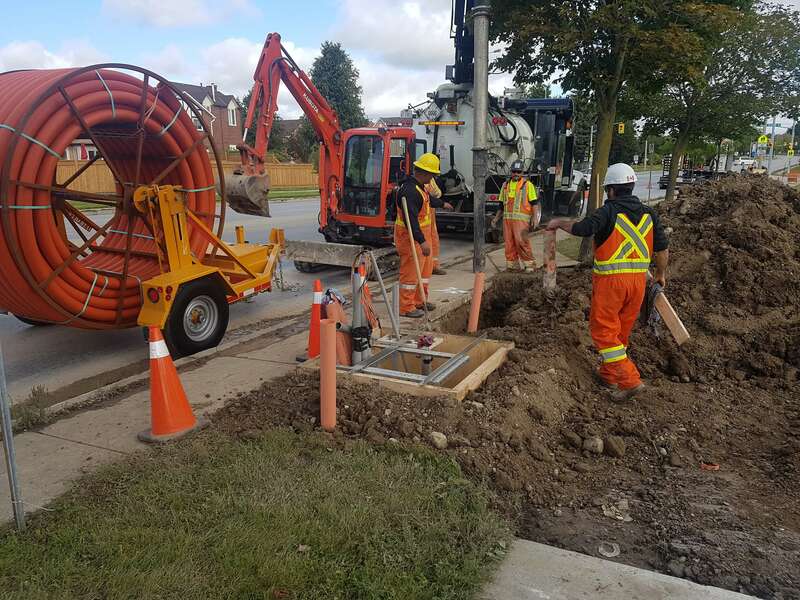 Trenching is an excavation method that involves digging a narrow hole or trenches for the installation of sewer lines, cables, pipes or any utility under the ground. When the installation of the pipe, conduit, and cables is done, the excavated ground is returned to its previous state. This is done using a trenching machine, unlike the typical excavation methods. Traditional excavation can take lots of time to get done, but with trenching equipment, it will take less time to excavate the ground. Excavation done using the conventional methods requires more hands to do the job. This accumulates to spending more money on labour. Using this method, a trenching machine and someone to operate it is all that is required, and this will minimize the costs associated with excavation. Trenching has been used in different industries for different purposes. For instance, it is used in the agriculture industry for preventing the soil from becoming waterlogged. The trenches are positioned to collect water and transport it away from crops. This is to provide the crops with the right conditions and moisture content to flourish. It is also used to create an irrigation system. Trenching is also used for sports. It is used for golf courses and sports fields to prevent the field from becoming waterlogged. With the deep and narrow trenches, water is moved away from these sporting areas to prevent things from becoming waterlogged. It keeps the sports field in excellent condition and ready for use. Trenching is also used as a drainage system for homes to create runoff systems for liquid waste. It is also used to create pathways for electrical wires to run from hydro poles to homes. Fiber fusing is a process which involves the fusing of two fibers using an electric arc. A gas flame or a tungsten filament can be used as a source of heat to merge the two fibers. This process is used to join fibers to form a single long fiber. The optical fibers are joined end-to-end using heat. The essence of fiber fusing is to minimize insertion loss, as optical light signal travels from one fiber to the other and enhances the durability and strength of the fiber itself. The process begins by preparing the two ends for joining. Heat is then applied at the end of the fibers to melt them. After melting, the two ends are joined together. The two fibers are joined in such a way that the light passing through does not reflect back. Fiber fusing enhances durability by making the fibers compact. Fused fibers can withstand high temperature changes. Fiber fusion blocks dust particles and various contaminants from entering the optical pathway of the fiber. Furthermore, fiber fusing helps in the reduction of insertion loss, which translates to reduced loss of signal power. Fiber fusing is used in the medical sector for lasers, light guides and other tools. In addition to this, it can be used for data storage and transmission. It is used in the connection of different computer networks and it enhances the speed of data transmission from one computer to another. Broadcasting companies use it for wiring HDTV, Internet, and various other applications. Additionally, fiber fusing is used to make temperature sensor devices, and wiring in automobiles is also done using optic fibers. Fiber optic cable is used in numerous other industries, as well, where fiber fusing would also be applicable. Horizontal directional drilling is a technology that entails drilling into the earth to create a pathway through which cables, conduits, and pipelines can pass. After a suitable hole is dug using this technology, the pipeline or conduit is passed through and connected to the appropriate utility. Horizontal directional drilling is a suitable option in a situation where open cut methods are not effective. A directional drilling machine and other vital components are used for accomplishing this type of earth drilling. Horizontal directional drilling allows for easy excavation of the soil without destroying the landscape. Drilling the soil horizontally without using the conventional methods makes this process faster. It also allows room for the discovery of pipe for utilities. In addition to this, it is faster, as there is less dirt removed from the ground, which means less dirt needs to be replaced. Another benefit of horizontal directional drilling is the durability and longevity it provides. In horizontal directional drilling, materials that are highly durable and of strong quality are used. This ensures the longevity of the installed utilities. This process ensures that there is minimal disruption of the landscape. This means less money will have to be spent on repairing any damage. Horizontal directional drilling requires fewer tools and fewer people. It doesn’t need as much manpower as traditional drilling methods. This makes this technology highly cost-effective. 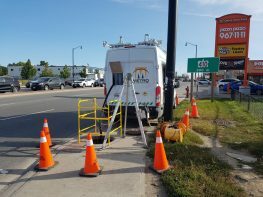 With this excavation technique, one can install underground pipes at any location, even in places that might seem impossible. It can be installed using either curved or straight lines, in order to suit the conditions. This fast-growing technology is used in the oil and gas industries to produce oil and gas reserves. It is also used for installation of sewer pipelines. In addition, it is needed for repairing damaged underground pipelines where an open cut method cannot be used.